It seems that I'm always forgetting that I still have a domain name called tracewindham.com, which leads me to forget to post things on the blog that is found when visiting that URL. So, here's another super late update from a big event in our family. The big event was our Summer trip to Washington DC. 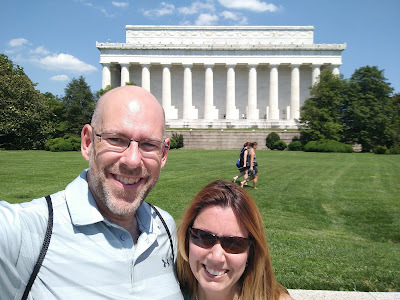 I had never been to our nation's capital, and we were looking for a good vacation for the family that didn't involve a beach (We really wore out the beach vacation over the last decade). So, we went, and really enjoyed ourselves. We were there 7 full days, and used Air BnB for lodging. We saw so much stuff! I think the top three for me were: The White House tour, The US Capital tour, and The National Gallery of Art. Here's the link to all the pictures.